Product Claims: Hair Perfection is a multipurpose styler that works best for Wash & Go's but can be used for Two Strand Twists, Twist Outs or Braidouts. Hair Perfection will not build up and will rinse clean! Thoughts: A few things I did like: It has a nice fragrance, honey almond. The pump locks and it comes with a separate bottle cap top. 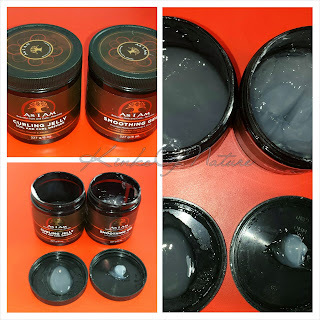 The gel has good slip and is light albeit too light for my hair. I thought I liked it at first, but I was mistaken. Le sigh...I have tried and tried with this Hair Perfection, but it does not work for me. Hot hot mess, that was the result each time. Don't get me wrong, my hair looked decent enough, but the way it felt...terrible! Knots for days, matted sections, and so dry. The gel left a greasy residue and there were hardened/dry bits of product stuck in my hair. I had to do impromptu trims several times when I used this. Another odd thing that occurred while using Hair Perfection: days after applying it I went to Junkanoo (photos on Instagram @kinksofnature). I'm sitting outside a few hours and touch my hair. My hand comes down wet and sticky! I know the gel was to blame because I didn't apply any additional product on top after noticing how greasy it was the first day. I was out there a good 8 hours. Once the sun came up and my hair dried, it was beyond dry. Not dry as in you haven't moisturized in a few days, but dry like I had just blow dried my hair and then continued drying it for an additional 10-20 minutes. That dry! To get a defined wash and go, I have to use about 10 pumps on each of section (6). That sounds excessive but one pump is not much at all. If I skimp on the amount of product, it looks as though I have nothing but water in my hair (frizz ball). Because of my past results with Hair Perfection and wash and go's, I'm reluctant to try it on twists. Maybe eventually, but certainly no time soon. 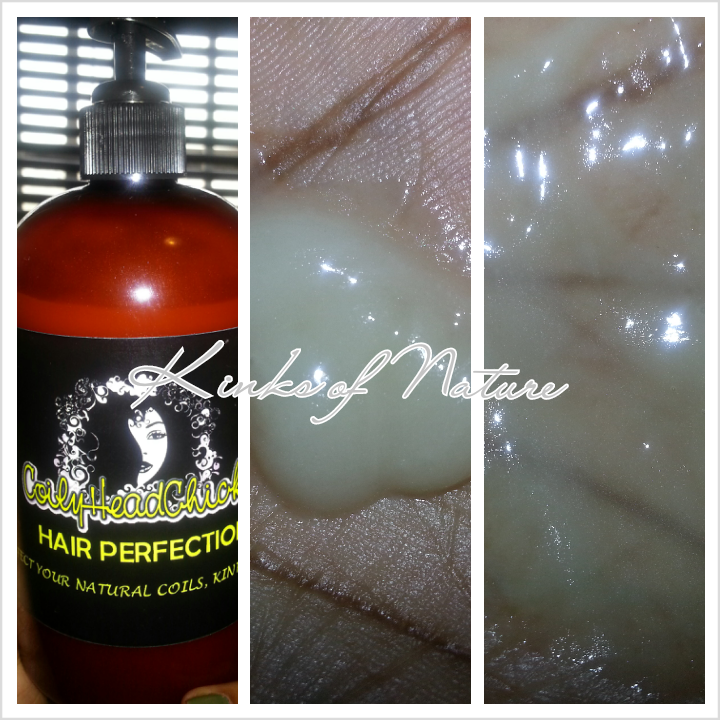 Coily Head Chick Hair Perfection is currently available on the CHC site at $20 for 16 ounces. Would I repurchase? : No. I've seen mostly favorable reviews for Hair Perfection and was hoping it would work for me, but this only goes to show that what works for some does not necessarily work for another. Experiment for yourself. You won't know until you try.